Resiliency, by its very definition, means to recover quickly from difficulty, to spring back into shape, but for coastal communities across the country, coastal erosion is making it a hard ideal to achieve. Like the small Alaskan village on the island of Sarichef where residents voted to relocate from a barrier island that has been steadily disappearing to the slow sinking of Tangier Island in Virginia, coastal erosion is literally tearing apart communities. The average annual coastal erosion rate along the Atlantic coast is about 2 to 3 feet. A major storm can erode the coastal inland 100 feet or more in a single day. 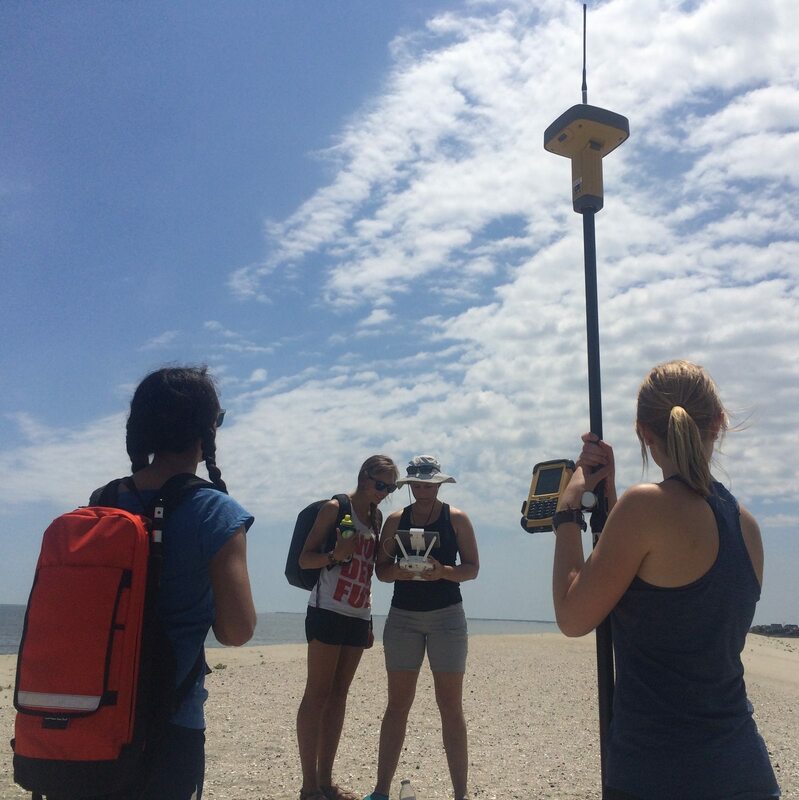 Florida Tech alumna Stephanie Dohner, physical oceanography, 2013, is working to fix this. Her mission is enhancing the ability of an ecosystem to return to its original state after being disturbed. 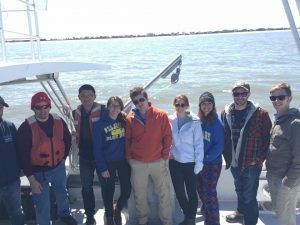 Today Dohner is a doctoral student at the University of Delaware’s College of Earth, Ocean, and Environment. Her work focuses on improving coastal science to plan safer living conditions and more efficient infrastructure designs. Virginia Sea Grant recently selected Dohner to serve as a mid-Atlantic coastal storms program graduate research fellow. 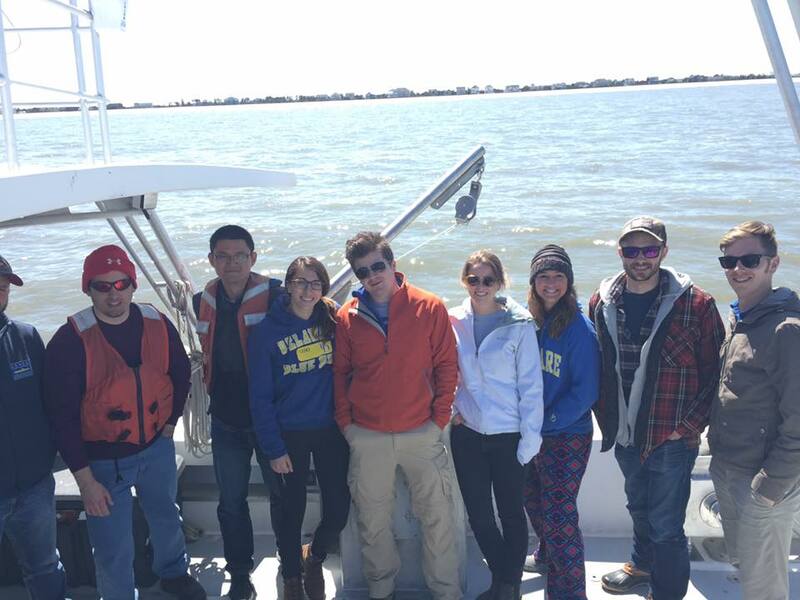 Dohner and other members of her lab group aboard the R/V Joanne Daiber, a vessel in the marine operations fleet. Dohner will have the opportunity to work on a variety of coastal storms-related issues with advisors and mentors. Her project involves increasing coastal resiliency by using high density, rapid response data. This includes unmanned aerial vehicles to look at land features and independent underwater vehicles to measure water depth. Findings will be presented at the end of the fellowship during a workshop with NOAA. She hopes to develop a data collection method that local communities can use to monitor their own beaches. The program is funded by the Coastal Storms Program. It brings together federal, state and local organizations to increase resiliency and reduce negative impacts of coastal storms. Dohner had to go through a rigorous peer review process before being named a fellow. She credits her education at Florida Tech for preparing her for the work she does today.